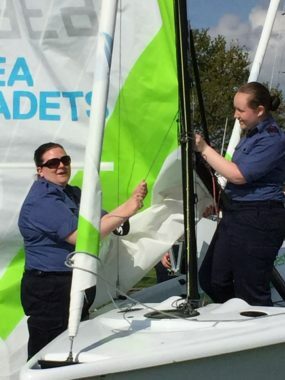 Beaver Sailing Club is proud to have as an active member the Sea Cadets. 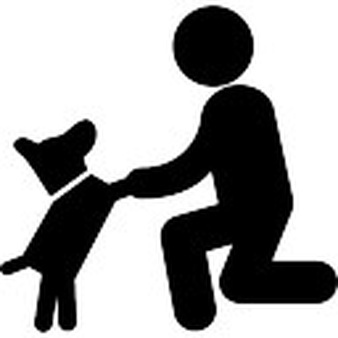 The Sea Cadets have been part of the club since it began in 1959 and is comprised of the Castleford group and the Dewsbury group. 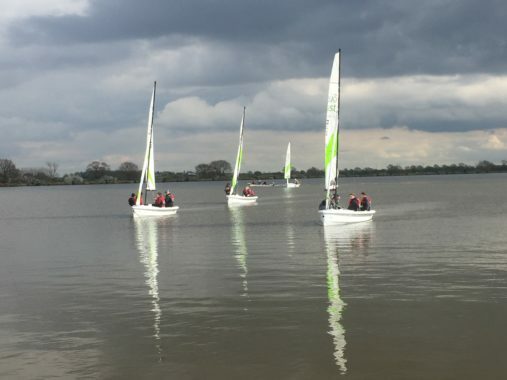 Historically they have sailed Bosun class of boats and whilst these have served them well, in 2017 they took delivery of five new RS Quest dinghies. 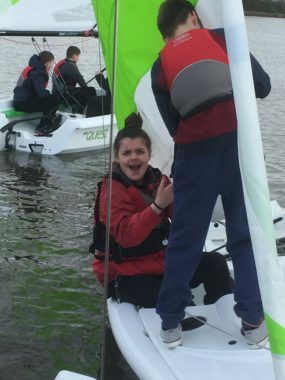 A similar size to the Bosun but move on more than 50 years in design and materials and the Quest offers the Sea Cadets something modern and exciting to hone their sailing skills on. 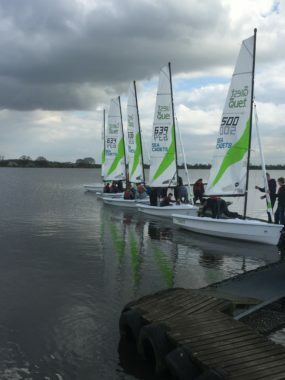 The Quests were given their maiden outing at Beaver over the weekend of 1/2 April. 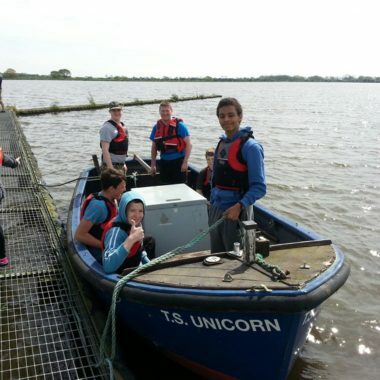 Judging from the smiles on their faces there doesn’t seem to be anyone unhappy with the new fleet. 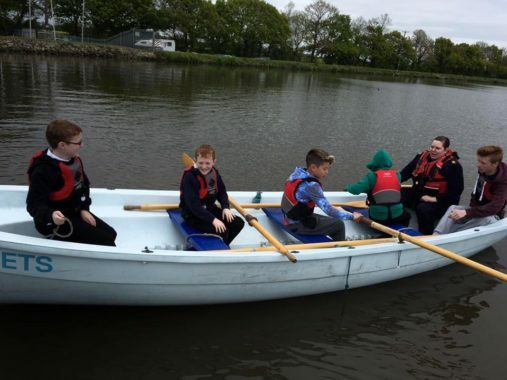 Skill training also covers oarsmanship and the Cadets have special permission to use their oar powered craft on Southfield reservoirs. 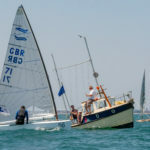 The boat is a Trinity 500 class fixed seat boat for four and cox. 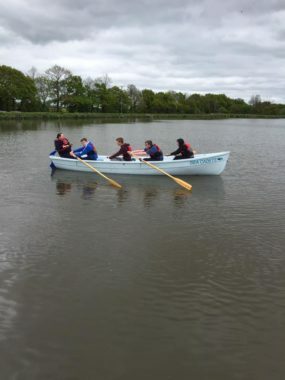 Cadets can complete a Learn to Row course with British Rowing which will give a qualification that is recognised in British Rowing clubs around the country.